We LOVE our Cooper Tires and are super excited to bring you this incredible giveaway. You can WIN a set of Cooper Tires that will fit and be suitable for your rig! You can read here WHY we love ours! 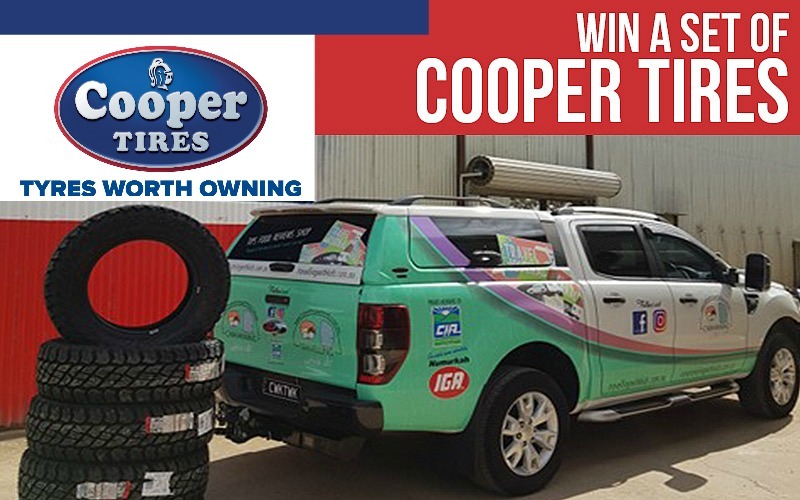 THE PRIZE: A set (4) of Cooper Tires to the value of $1,800! Facebook Disclaimer: Entrants should understand that they are providing their information to Caravanning with Kids and not to Facebook. This promotion is in no way sponsored, endorsed or administered by, or associated with Facebook. Thank you for an opportunity to win and good luck everyone. Gosh, these Tyers would be so loved if we became their lucky new owners. Our current tyres are on their last leg, I mean tread and we’ve got many KMs to travel yet!